Disco may be dead, but where rock ‘n roll is concerned, the Hard Rock Hotel in Penang is proving there’s life in the old girl yet. The much coveted TripAdvisor’s Traveler’s Choice Awards has again named the Hard Rock Penang as the No.1 trendiest hotel in Malaysia in 2012. Now in it’s tenth year, the Trip Advisor awards have become such a prized accolade because of the currency they hold with real travellers. Awards are based on millions of reviews and opinions from global travellers, with sites in 30 countries and in 21 languages. But perhaps the most telling reports come from the judges themselves. Mike M from New Zealand, a travel reviewer on TripAdvisor says, “Never a dull moment. This is a great hotel if you love the pool or the beach. In true resort style, you can be entertained all day without leaving the hotel.” Other reviewers highlight the popular Lagoon Deluxe Room’s direct access to the pool from room’s deck as an “awesome” and “unique” feature. In addition to being the trendiest hotel in the country, Hard Rock Hotel Penang is also listed No.18 in the category of ‘Top 25 Relaxation & Spa Hotels in Malaysia’. The Rock Spa (a Hard Rock brand) offers a variety of spa treatments for both adults and children in the spa bungalow and sea-facing gazebos. The facility is incredibly popular among hotel guests and day visitors. 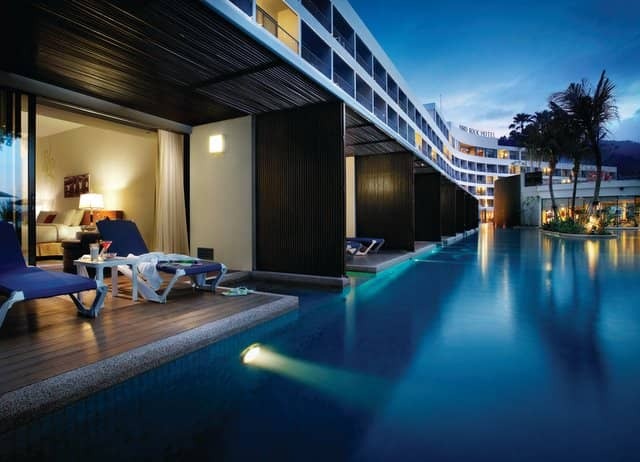 For more information on Hard Rock Hotel Penang, visit penang.hardrockhotels.net or get connected with more than 98,000 fans of the property on Facebook.